We are in love with our condo and we just don't want to leave here. Our beach is so private and there are so many turtles, too! 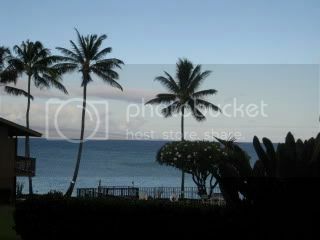 Our "private" ocean-view breakfast included a variety of local items such as Maui lilikoi (passion fruit) jelly, lilikoi cream cheese spread, taro bread, and also "kulolo". 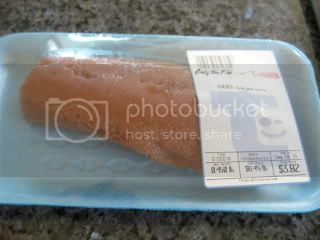 Kulolo is sold in a pack at a supermarket. 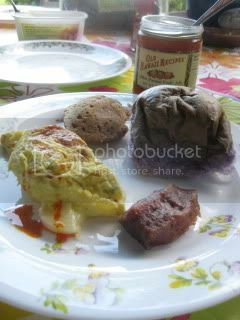 It's Hawaii's traditional dessert made from mashed taro and coconut milk. You are supposed to heat it before serving. 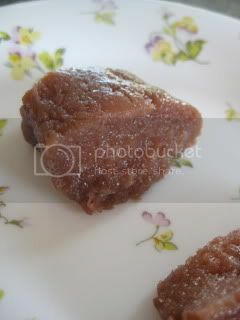 It was my first time to try kulolo...I've never tried it before because it looked too sweet and mushy. But, after my first taste, I kind of liked it! 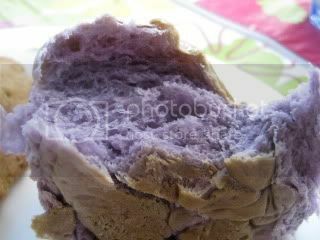 It wasn't overly sweet and actually had a nice taro flavor. The texture is like chewy pudding and pretty nice! 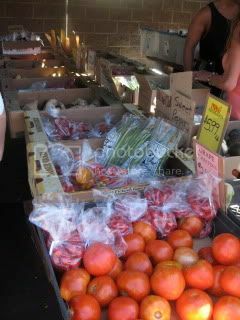 After breakfast, we went down the street for a local farmers market (Honokowai Farmers Market, right on the parking lot of the natural food supermarket called, Farmers Market Maui and Deli). 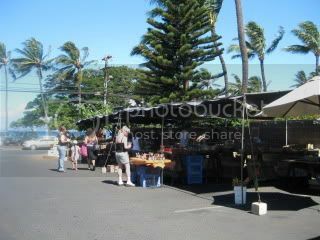 This outdoor market is open M/W/F from 7-11am. 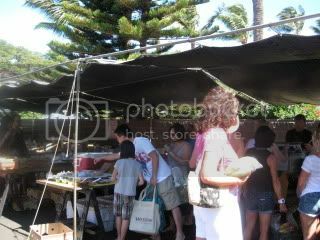 It was very small but I was so excited to find all the fresh local produce! 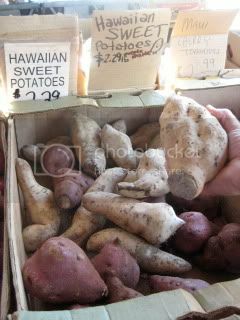 We picked up Maui onion, sweet potatoes, corn, Kula greens, pineapple, lilikoi, etc. etc. Yes, all were from Maui. I just couldn't wate to taste everything. 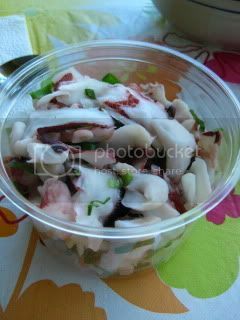 We also stopped by at Fish Market Maui (best seafood in the area - we ended up going there every single day for plate lunch or buying seafood for dinner) for tako poke, etc. 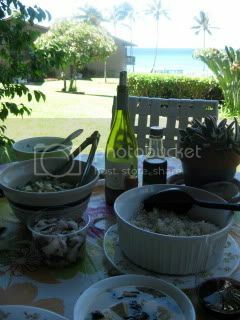 So, our lunch took place in our lanai again after some beach activities. I fixed simple half-and-half brown/white rice, and a salad with maui vegetables (plus the fresh lilikoi...so delicious), and served with poke, etc. 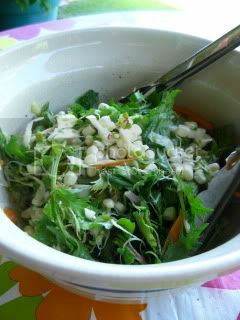 The salad was so fresh and incredible. 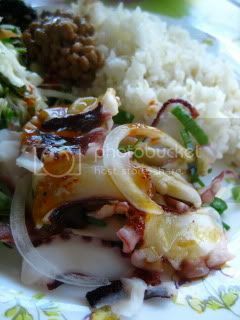 The tako (octopus) poke was also very nice. We brought a lot of wine from home, too. 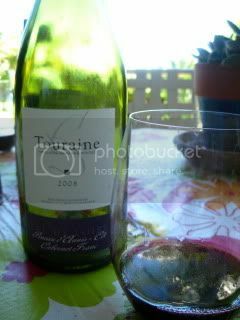 For lunch, we enjoyed 2008 Francois Chidaine, Touraine (from Loire Valley, 100% Cabernet Franc). 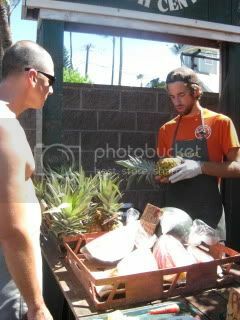 It was served slightly chilled, and tasted really nice outdoor.